Maybe it’s the fact that I spent my childhood on a hobby farm in a late 1800’s Victorian stone house, and that contrasts my early adult life in downtown Vancouver, or maybe I’m just jumping on a trend but I’ve been on a modern farmhouse kick lately. They are just so dang cool. I’m speaking architecturally more so than interior design focused. For interiors I’m still on a scandi/mid century bender. But anyway, what defines the Modern Farmhouse style? To me, and again this is the country in me, the classic house is a farmhouse. Gable roof, 2 storey, simple footprint, nothing crazy but a classic, cozy, and welcoming home. However, that can get a bit boring as it's just a bit too classic, enter the Modern Farmhouse. Those classic lines get a modern facelift with some bold design changes. From different fenestration, opening up the space, unique finishes, or creating a massive vaulted ceiling space there are some awesome examples out there and I think its the balance that draws me to the style. 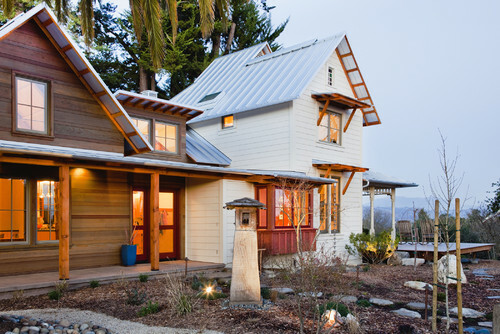 It has elements of a cozy welcoming home, but with an edge. Almost always finished with a gable roof and commonly as a standing seam metal roof. This style has been the long standing choice for sheds, barns and farmhouses because of its durability and capacity to shed rain and snow. 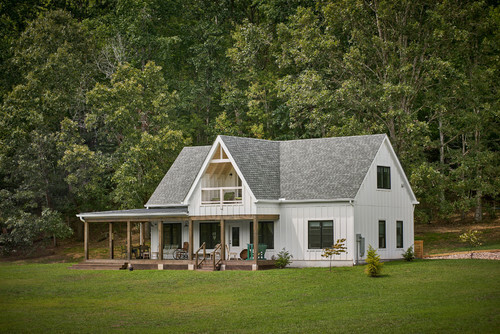 Other common design aspects include lap or board and batten siding, tall double hung windows, open porches, and a monochromatic colour palette. 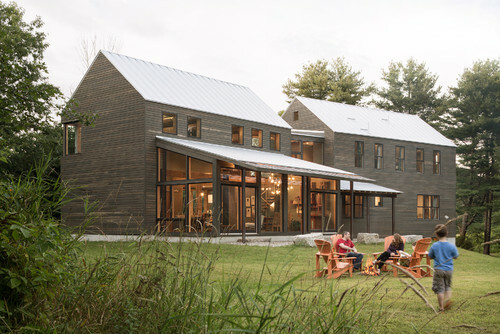 Modern Farmhouse architecture relies on variation of textures and materials for impact rather than a bold colour palette. 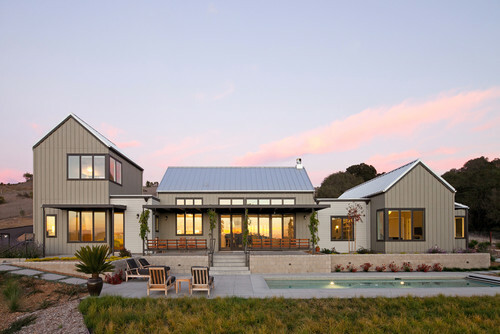 Hence the importance of the siding and roof materials, to create contrast, texture, and play with light. 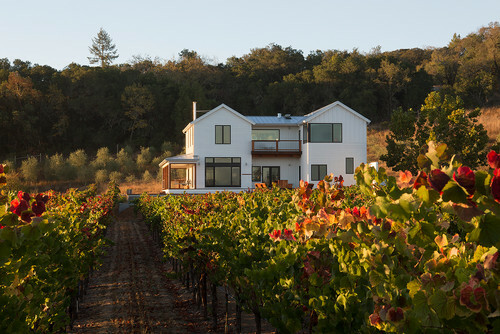 The houses range from simple remodels to brand new structures and on a spectrum from reserved to contemporary. The connection to the land is evident in the style as well. Whether it’s the use of existing structures, creating view over the property, or taking advantage of the natural contours of the land. While the name leads you to believe otherwise, modern farmhouse isn't strictly farmhouse, but gains inspiration from Victorian (maybe I wasn't so far off in believing my roots have influenced this love affair). Gable roofs, large porches, and lap siding were all prevelent in Stick Victorian design. If you strip down the decorative details, open up the plan, and lighten up the colour palette, you're at the begings of modern farmhouse. Regardless of its roots, after writing this I'm left daydreaming of my dream home...don’t you think this style would look just perfect on an acreage surrounded by thick spruce trees, mountains looming over top, and a wisp of smoke leaving the wood stove chimney on a chilly autumns eve?